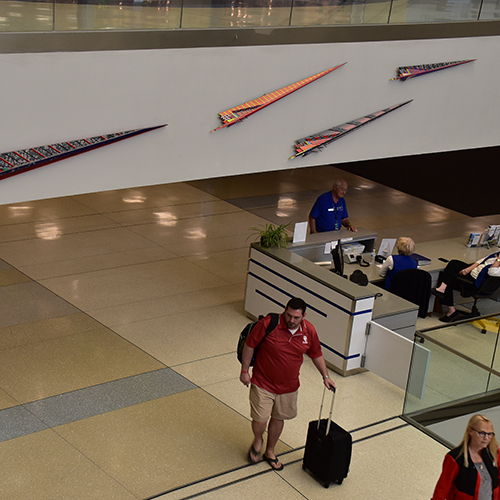 How many displays of creativity can you spot around our terminal? Share pics of your favorite pieces with us on Twitter or Facebook using the #CMHArtWalk hashtag. 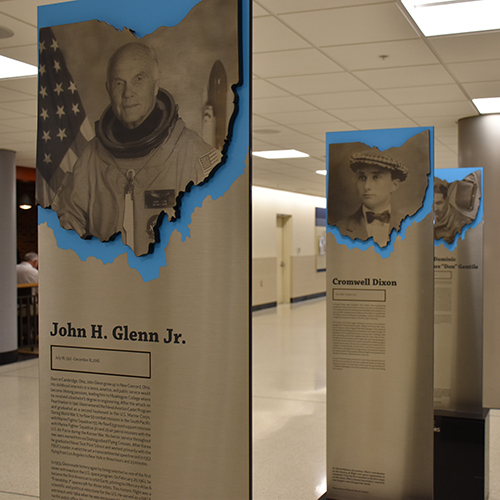 Tour the walking timeline of John Glenn Columbus International Airport from its opening in 1929 to present day. 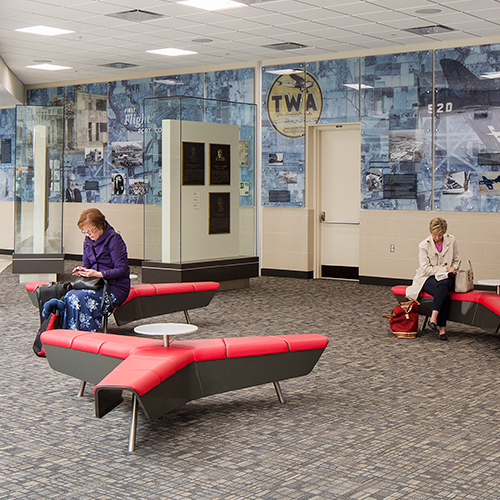 This visual history lesson, which honors those who were pivotal to the airport's development, includes photos, news articles, political cartoons, time capsules and many other interesting bits of airport history. Installed at John Glenn International in 1984, this striking sculpture is 25 feet tall and stands upon a five-foot tall base. 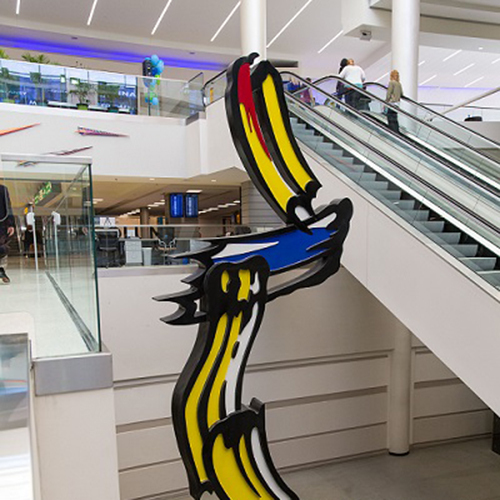 Created by the late Roy Lichtenstein, one of the most influential and innovative artists of the second half of the 20th century and an alumnus of The Ohio State University. 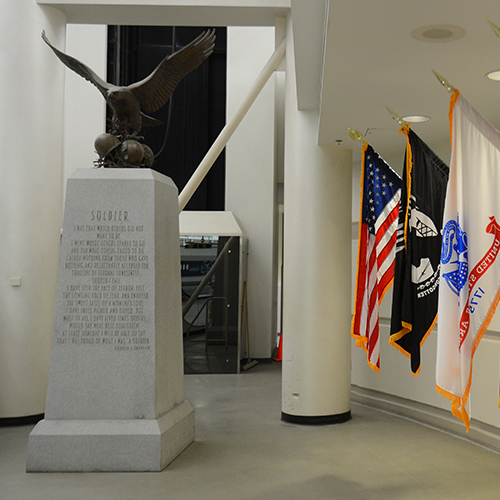 Honoring veterans for their service and sacrifice, this 13-foot memorial stands in the sky-lit atrium near the ticket lobby escalator. An exquisite bronze eagle perched upon four military helmets rests on a granite base, inscribed with the poem Soldier by George L. Skypeck. When inside the atrium, look up to see Speed Machines, a wall-mounted exhibit depicting the speed of flight. Purchased in 1995 from its creator, Roger Williams, this display illustrates the beauty and simplicity of flight. 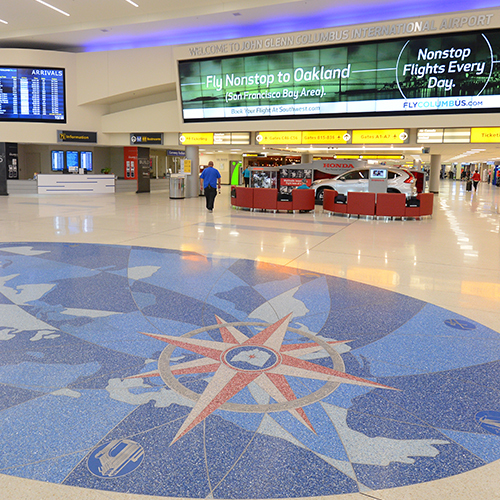 In the center of the ticket lobby terrazzo floor is a large medallion that represents the vision of the Columbus Regional Airport Authority to connect Ohio with the world. 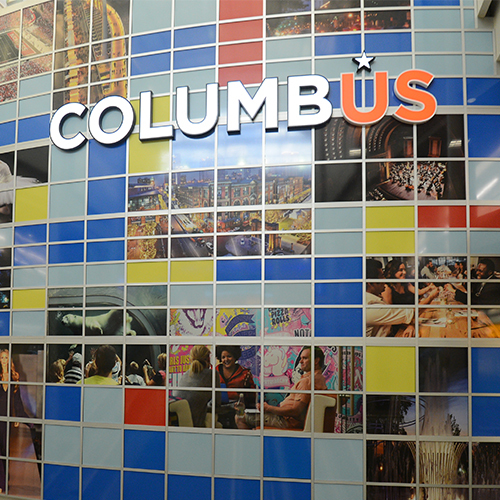 Impressive digital screens throughout the terminal showcase Columbus’ strong business and collaborative culture, community attractions, flight status and airport features. 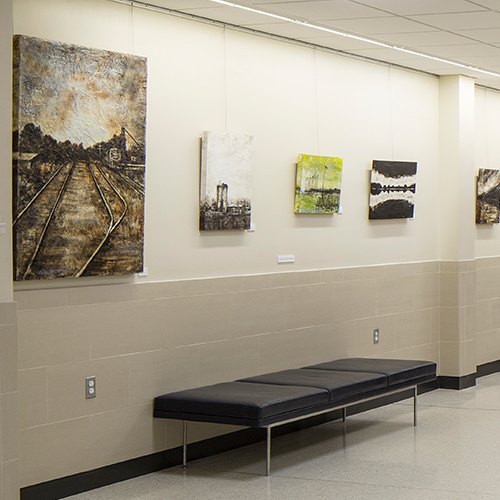 New works of local artists rotate quarterly in this exhibit space located in the hallway adjacent to Max & Erma’s restaurant. 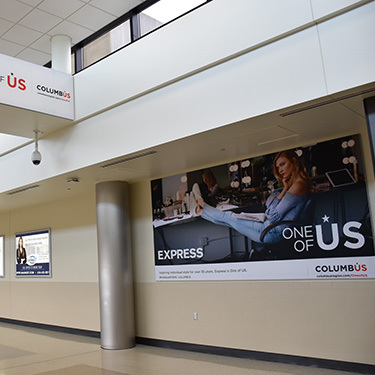 The Columbus Regional Airport Authority collaborates with the Ohio Art League, a nonprofit visual arts organization, to provide the Gateway exhibits. 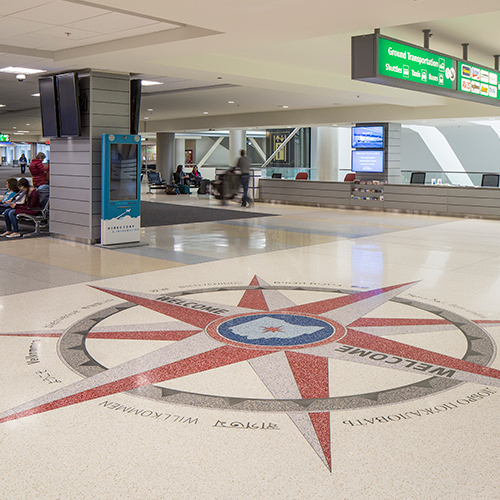 At the foot of the staircase to the baggage claim, a medallion in the terrazzo floor extends a warm welcome in languages from around the globe.